Some mistakes in life are big, like cheating on your SATs or accidentally getting yourself imprisoned and caned for vandalizing a truck in Singapore, but others are THE BIGGEST, like drinking beer all wrong. So, in an effort to avoid getting you mentally caned by beer geeks everywhere, our beer writer Zach Mack breaks down the five biggest mistakes you’re making, and how to fix them. 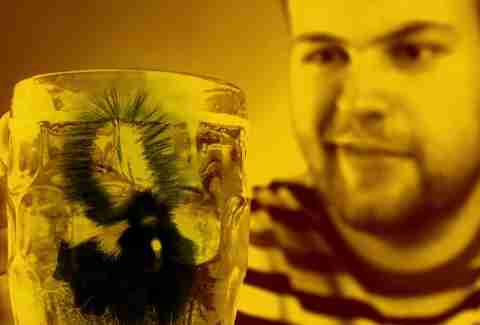 Maybe the biggest myth in the beer-drinking world is the unbridled joy of the chilled glass. 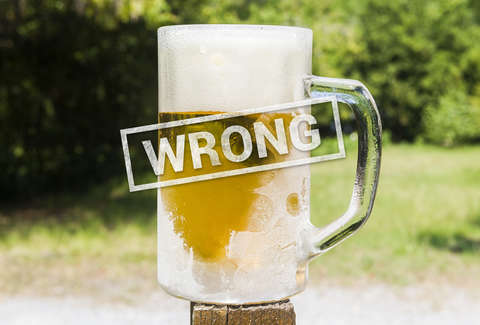 Contrary to what your local sports bar may have you believe, your frosty mug is not enhancing your beer-drinking experience. In fact, frosted mugs cause beer to foam, killing their carbonation and nixing the aromas. Instead of popping your favorite glass in the freezer, keep it clean and in the cabinet, give it a quick rinse with cold water to clean out dust and odors, and then perform your perfect pour. As much as people like to brag about their beers tasting cold, beers run the gamut for how they should be served. (And anyway, isn't it a physical impossibility to taste a feeling?) There's an entire chart dedicated to the proper serving temperatures for different styles of beer. Even then, most beers are meant to be served slightly above the temperature of your fridge, and most experts recommend taking certain styles out of the fridge 10 minutes or so before you drink them to fully expose the flavors and aromas. In terms of beer terminology, "skunked" is maybe the perfect example of a word that is widely used, but entirely misunderstood. The term itself is slang used to describe beer that is "light-struck", and thus tastes and smells, predictably, like a skunk's spray. Wondering whether or not you've ever had a skunked beer? There's a simple solution: walk into any store and pick up literally any bottle of beer stored in a clear glass bottle, open it, and take a sip. Congratulations! You've just had a skunked beer. It may sound crazy, but skunking starts within minutes of a beer being exposed to light. You can take preventative measures like only buying beer that comes in brown glass bottles (or better yet, cans! ), and making sure that you're storing any beer that's not in your fridge in a space where it's covered (yes, even fluorescent lights damage brews!). If you're planning on doing some outdoor drinking, consider using an opaque cup, or check out these entrepreneurial Canadians who want to protect your beer from light right down to the last drop. Most people have at least one bottle that has been kicking around their fridge for months, whether you're saving it for a special occasion or it's just a cork-and-cage bottle left behind by your beer geek friend during a tailgate party. 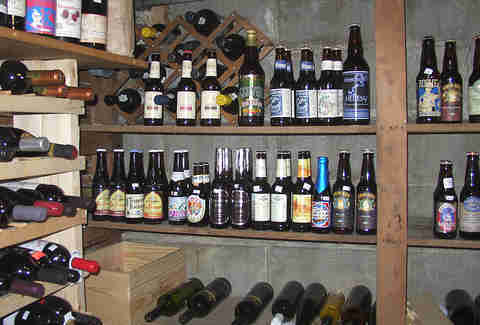 This unintentional "cellaring" is actually welcome in the case of heavy stouts, Trappist beers, and barleywines. But if you're sitting on a hop monster, you may be out of luck: just like your good looks and ability to overcome hangovers, hops' aromatic qualities die off quickly with age. Think twice before tucking away that can of Heady Topper for the "right moment" and just enjoy the beer as fresh as you can. With the sudden boom in interest in craft beer, it's not uncommon to hear people talking about "IBUs", "single-variety hop beers", and "house-cultivated yeast strains". And just as in the food world, there is always a time and place to be fancy as all hell. 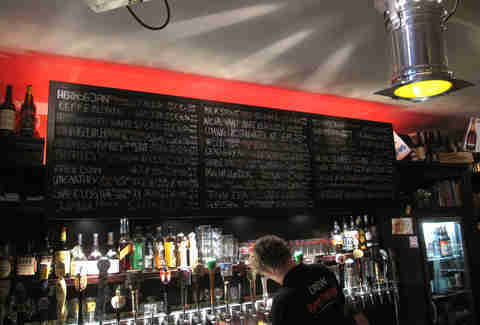 But there is also something to be said about familiarity and unwinding, enjoying beers the way Grandpa used to. Maybe you don't have that snifter immediately handy. Maybe you don't have enough cell service to blast out what you're drinking on Untappd. There is no single right way to enjoy a beer... as long as it's not in a frosted mug.